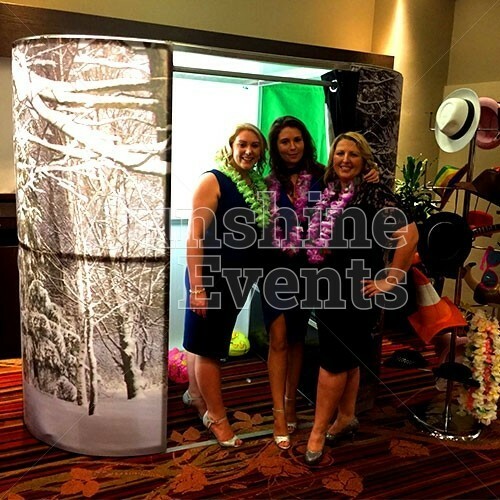 The Photo Booth is a tried and tested attraction at all events. 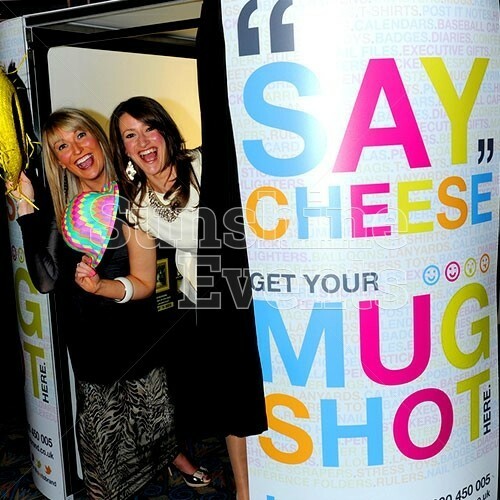 It's always sure to cause a few belly-laughs inside the booth as your guests pose with the fun props and hats. 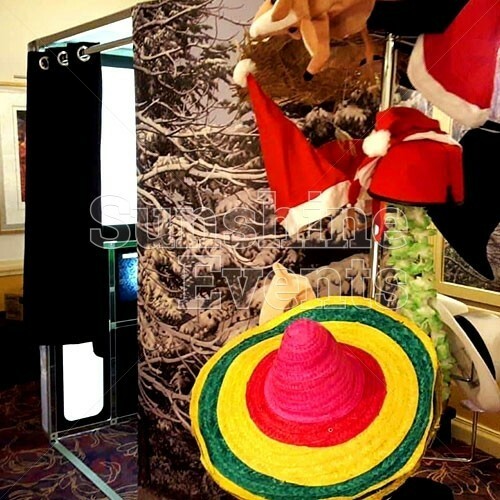 As you step inside one of our Green Screen Dream Machine Photo Booths, the power is in your hands. 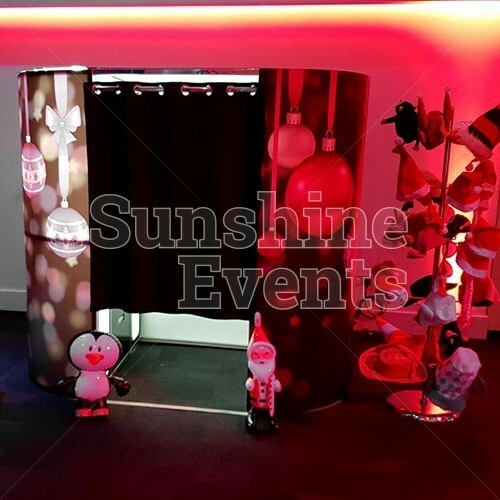 With the magic of chroma-key technology you can now choose from over 1,000 background themes, colour styles and print layouts. 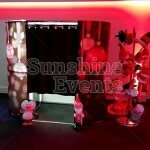 You can also choose between colour, black and white or sepia prints. 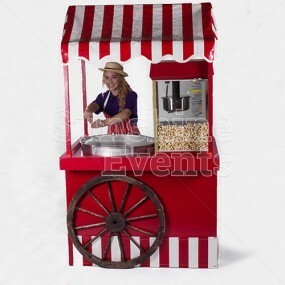 All you need to do is grab a little something from the prop box. 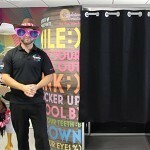 Be sure to strike a few different poses, as 4 separate photos are taken. 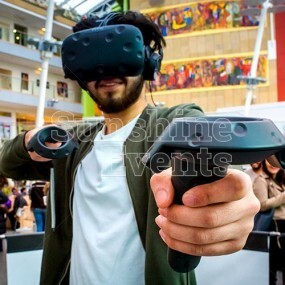 Ta-dah! 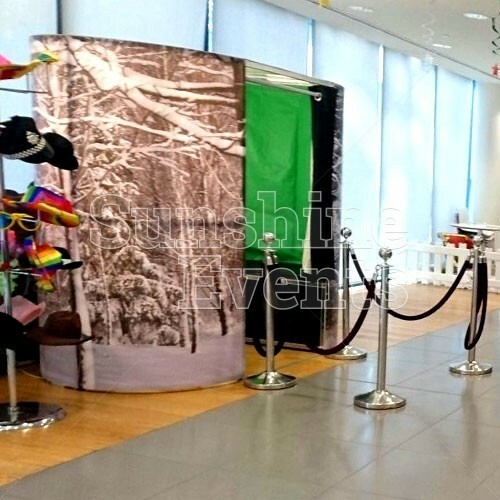 A few seconds later, your prints are ready to take home as you leave the booth. Around The World - there’s no better way to travel than with our backgrounds to Africa, America to name but a few! 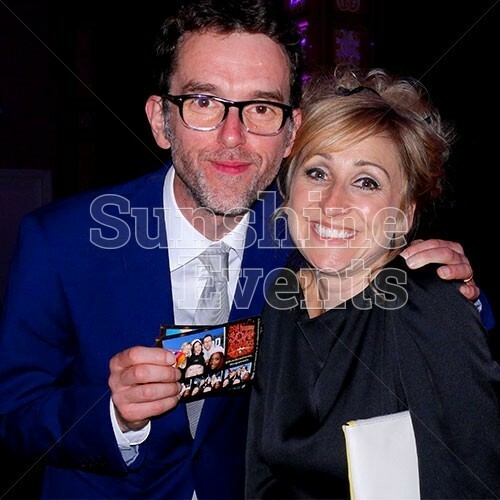 We always ensure that everyone in the photo gets a copy of the print, as we offer unlimited prints during the event. 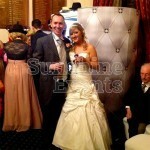 We’ll even print off an extra one to pop into the guestbook that we supply. 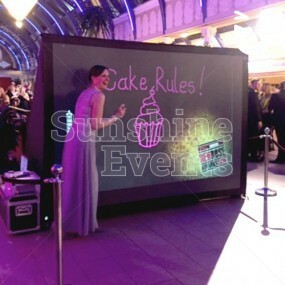 Plus, we give you a USB stick full of all the images at the end of the event too. 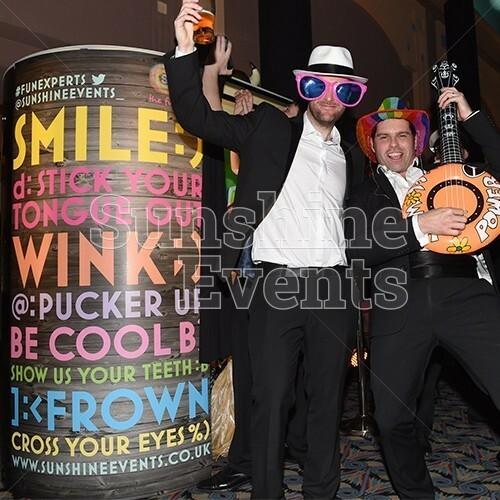 With a choice of booth exteriors (including the option to personalise and brand), our Photo Booths are incredibly popular at corporate events, weddings and parties. 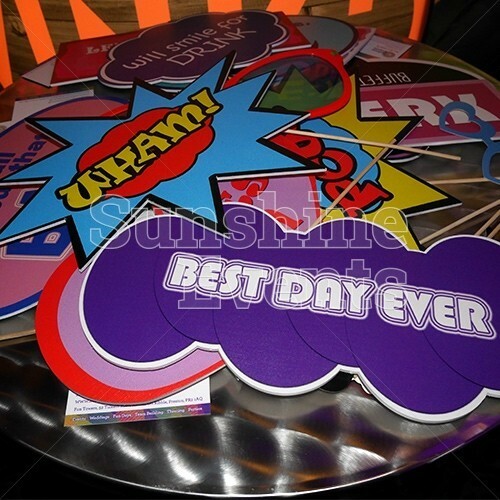 We can also personalise your prints with logos and messages on request. Our Green Screen Dream Machine Photo Booths have everybody wanting to be snap happy, creating and taking home perfect memories from your event. 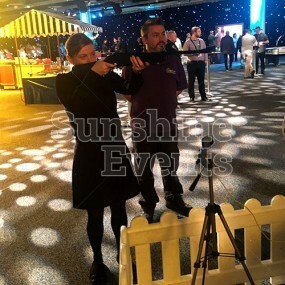 Invite us to be the entertainment with our charismatic operators, funky props and state of the art equipment. 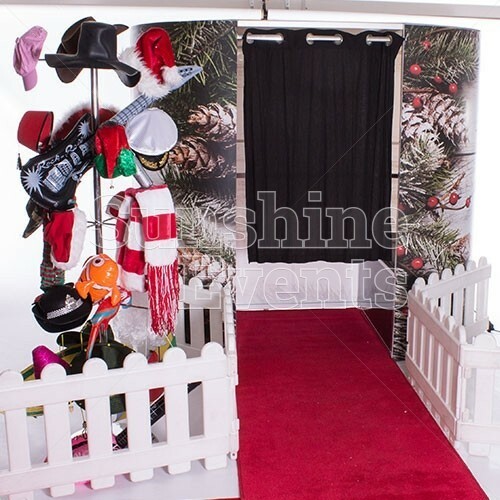 What events is the Photo Booth Hire suitable for? 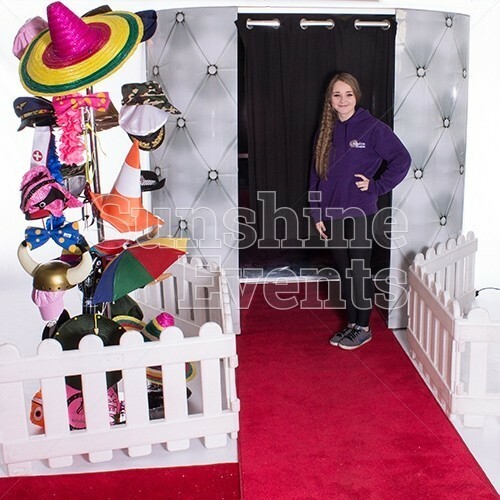 The Photo Booth Hire is a classic sight at most events, due to it’s versatility and simple set up - all you need to do is sit back and smile! 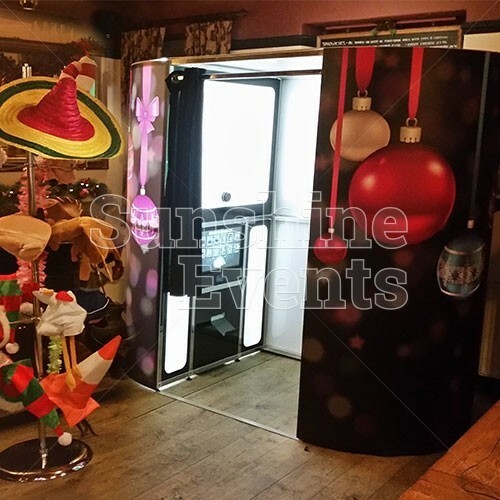 Our Photo Booths are fantastic but don't just take our word for it… have a look at our Photo Booth Gallery and give the Fun Experts a call to book. 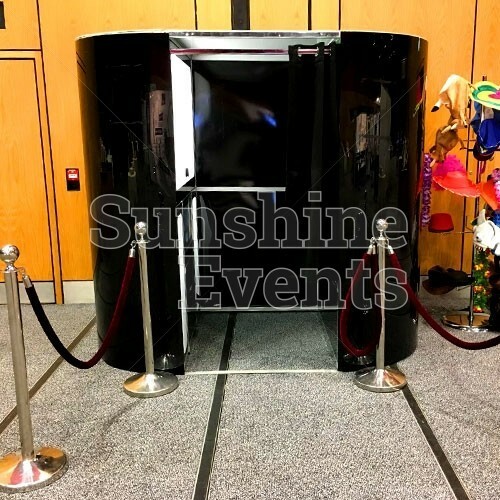 Unique Green Screen Dream Machine chroma-key technology with touchscreen monitors! 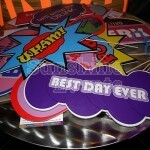 Unlimited instant 5" x 7" prints! Exceptional prop box beaming with groovy hats, glasses etc. 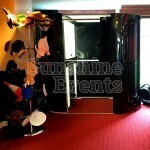 Access Requirements: please note that a width of 0.82m is required when moving the equipment through doorways and corridors. 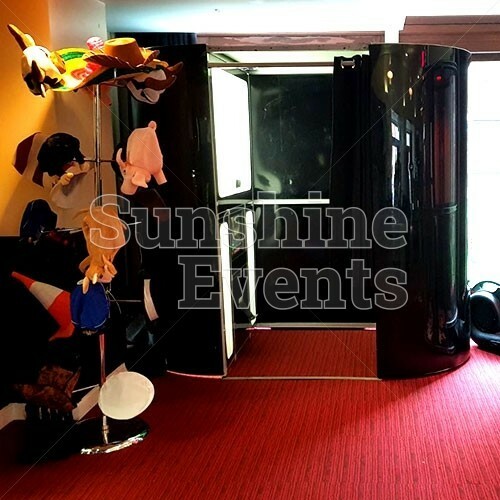 If you feel that access may be an issue, such as stairways or lift access, uneven surfaces, obstructions or perhaps long distances then please mention this in your enquiry. 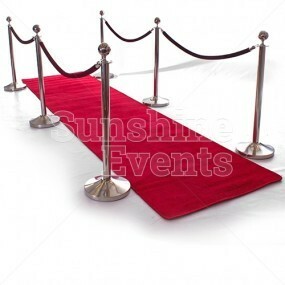 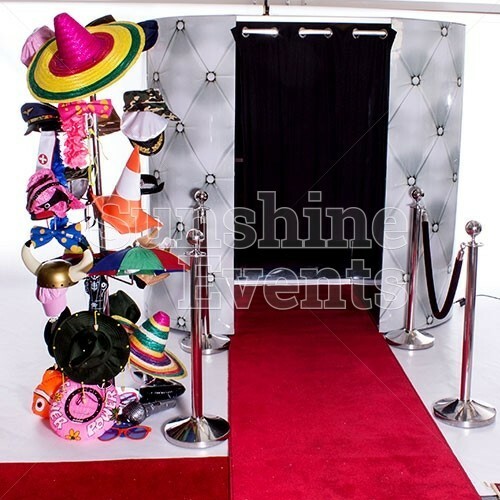 The Photo Booth does need to be set up in an inside area. 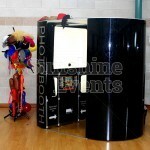 Should you have any questions regarding this then please ask at the time of enquiry. Bespoke Photo Booth skins - we can print the external panels of the Photo Booth to be bespoke to your event. 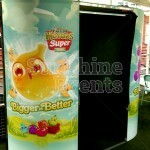 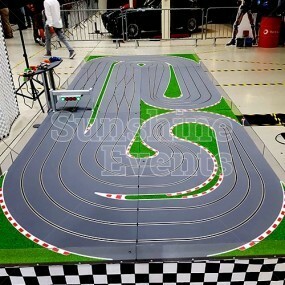 The design could incorporate your company logo or brand. 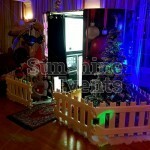 Simply provide us with the design. Branded prints - the technology of the booths allows us to upload a print design bespoke to your requirements. 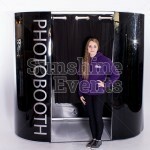 Great Photo Booth, really good quality prints and selection of green screens. 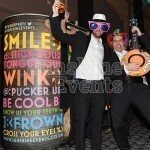 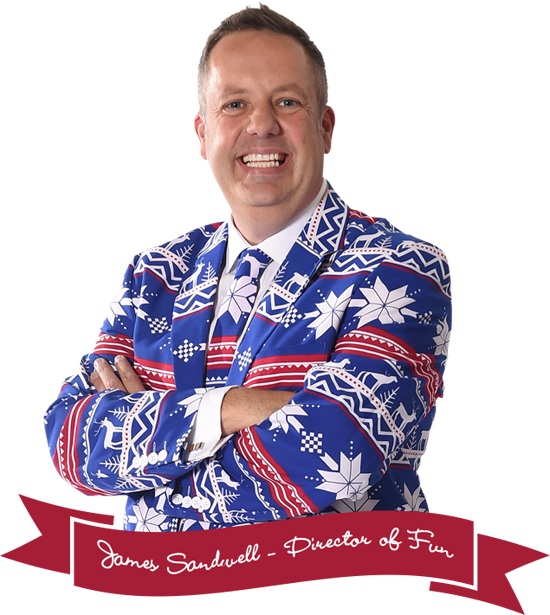 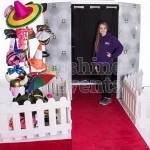 The Photo Booths were very impressive, and went down much better than in previous years, when using other suppliers. I was particularly impressed that each person in the Photo Booth received a printout! 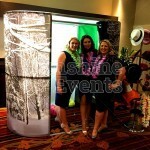 CASE STUDY - Wedding Photo Booth and FUN! 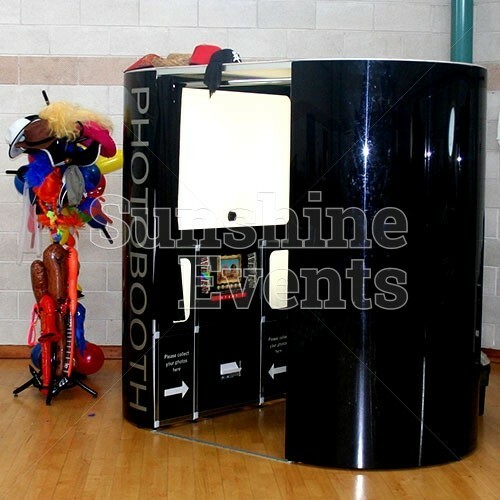 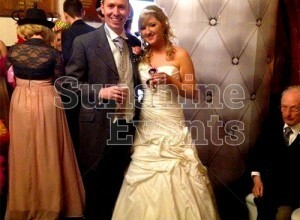 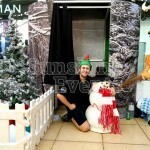 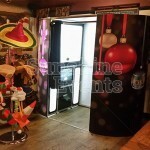 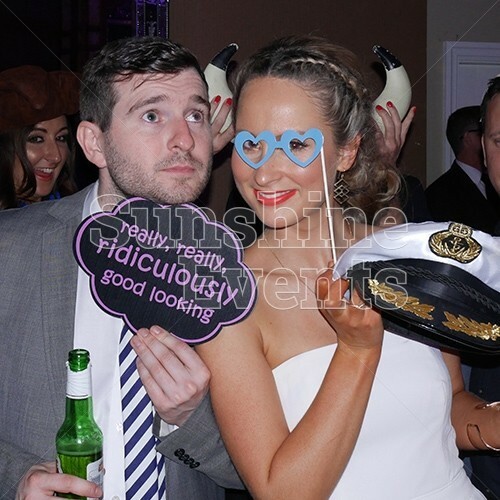 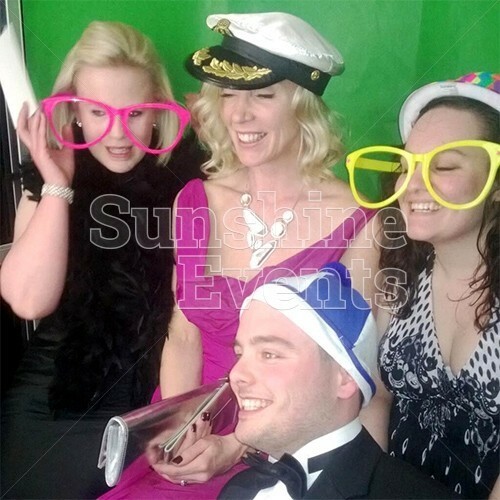 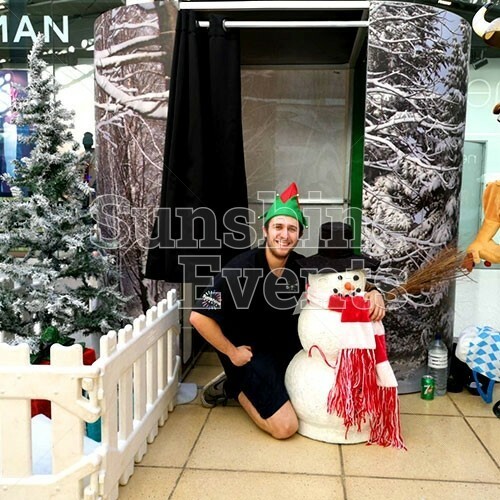 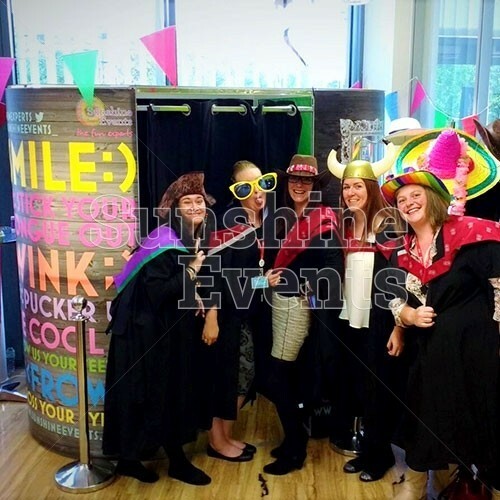 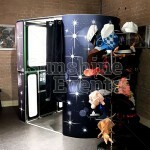 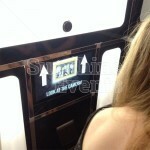 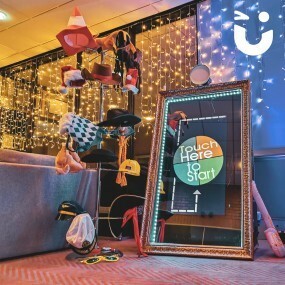 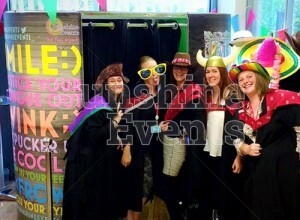 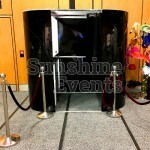 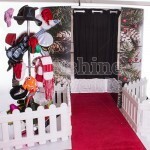 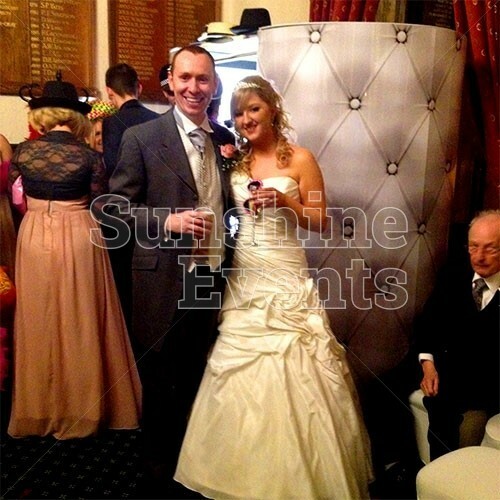 Photo Booth Hire has been added to your Event Quote.